Lencrow Group has introduced a new range of work assist vehicles designed to pick and pack products to a height of 5000mm. Now available through Lencrow Materials Handling, the EP CK-05 unit from EP Equipment offers an improved WHS procedure to companies that currently use ladders for picking single orders from higher than ground level. 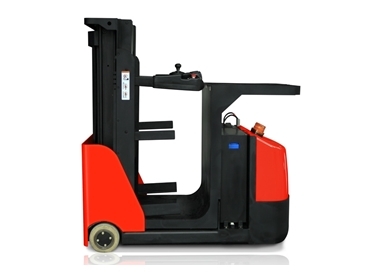 EP Equipment specialises in electric materials handling equipment. Measuring only 820mm in width, the EP CK-05 work assist vehicle can access tight areas and is highly manoeuvrable with a turning radius of only 1385mm. This unit also offers more than 80% lifting capacity over other work assistance vehicles, while providing better stability and larger operator load combinations. Ross Grassick, General Manager of Lencrow explains that the EP CK-05 offers customers a more stable unit with capacities that meet their specific requirements.